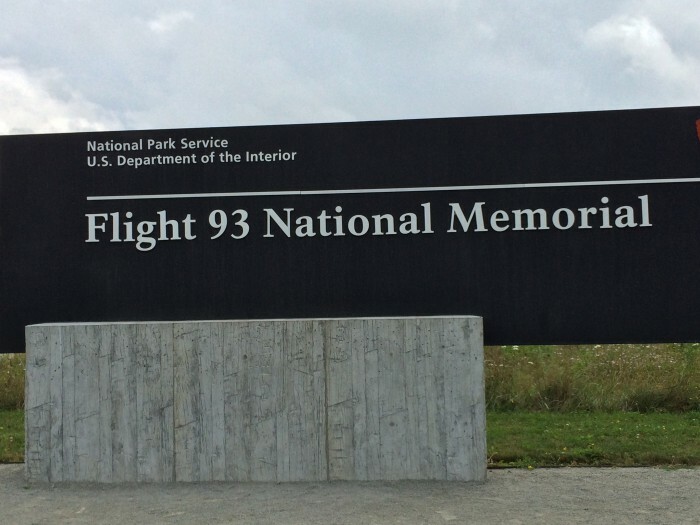 On a recent trip returning to Baltimore from Pittsburgh, I decided to stop at the Flight 93 memorial. I had no idea what to expect and was blown away at the beautiful and peaceful setting that is set amidst rolling hills and meadows. 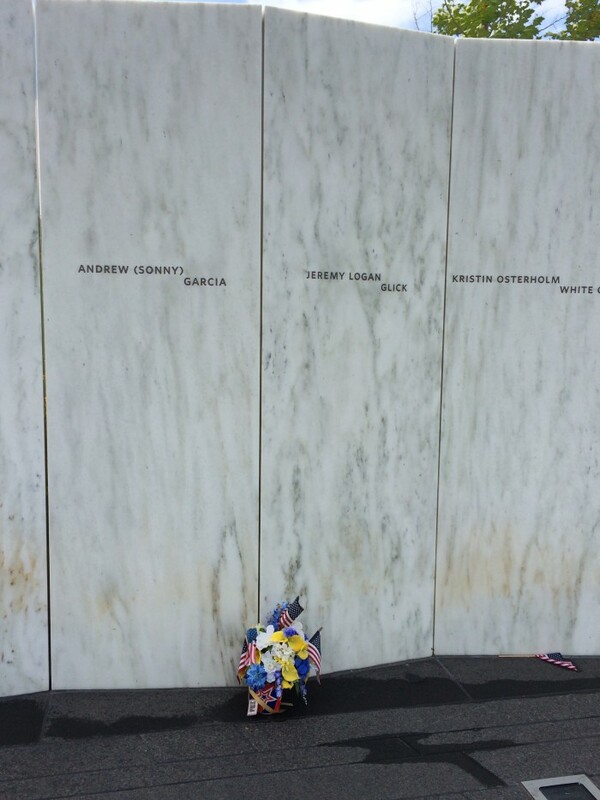 It is a reverent and uplifting space dedicated to the forty victims who died here. On our way home on Rt 30, you pass through quaint little towns, reaching the memorial after driving down a newly paved winding road to reach the crash site where the National Park service is building a brand new visitor center and parking lot. A black sloping wall extends around the entire crash site field outlining the final resting place of victims. Only family members of the deceased can enter the crash field. Because of the huge impact of the plane slamming into the earth, almost everything vaporized. Only eight percent of the human remains were recovered, enough to match up and identify all 40 victims and 4 terrorists on the plane. All unidentified remains were placed in three caskets and buried near a large native sandstone boulder which became the collective headstone for the burial. 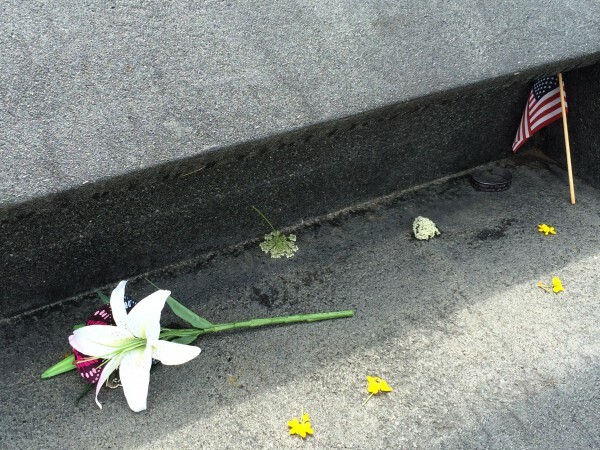 A small plaque was placed on the back of the boulder that only family members can visit. 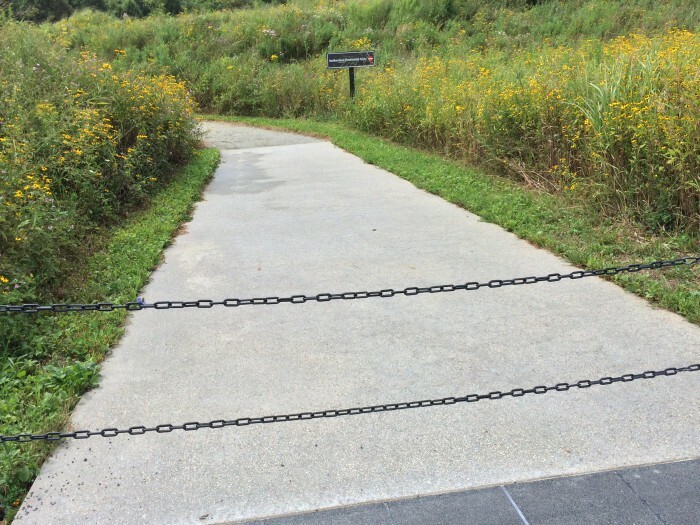 Victim’s families have keys to open the gate to enter the field to mourn their family members. After gouging a huge hole in the ground, and spinning 180 degrees, the cockpit and first class cabin broke off, and broke up into millions of fragments that scattered and scorched 8 acres of trees. The main body of the plane continued downward into the soft reclaimed mining soil and created a crater 50 feet deep and came to rest against solid rock below the surface. The black box was recovered 25 feet down in the crater in good condition. 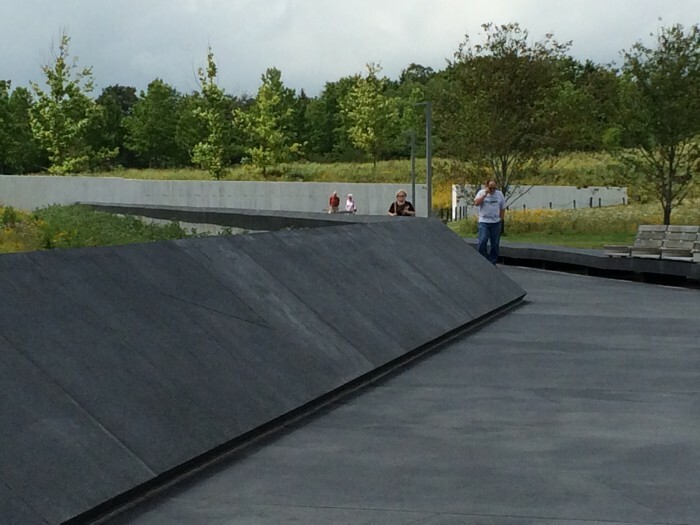 The Flight 93 National Memorial design was selected from over 1,000 entries from 48 states and 27 countries in an international design competition. Originally designed in a crescent pattern, the design was modified to a circle because of an outcry that a crescent too closely resembled the red crescent used in Islamic culture. The Shanksville site was commemorated in 2002, a national memorial, but lots of work is still going on. There are 40 maple trees planted representing each person that perished from the crash and a wall with the names etched in polished white marble for each victim. These walls align with the final flight path of the plane. 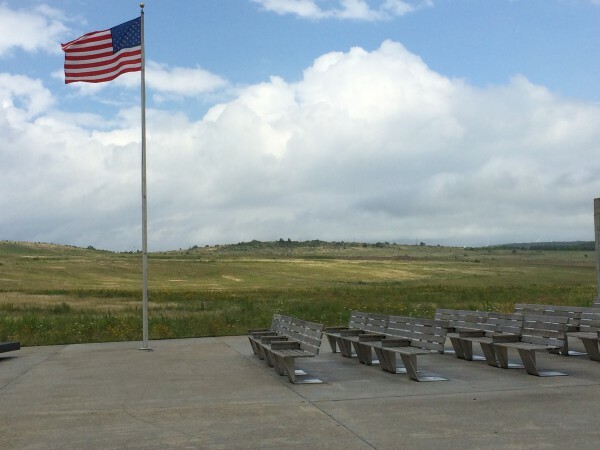 According to the National Park Foundation website, they describe the “FIELD OF HONOR” as: “Measuring one-half mile in diameter and covering over 150 acres immediately adjacent to the Sacred Ground, the bowl-shaped Field of Honor links the entire memorial through sightlines and pathways. 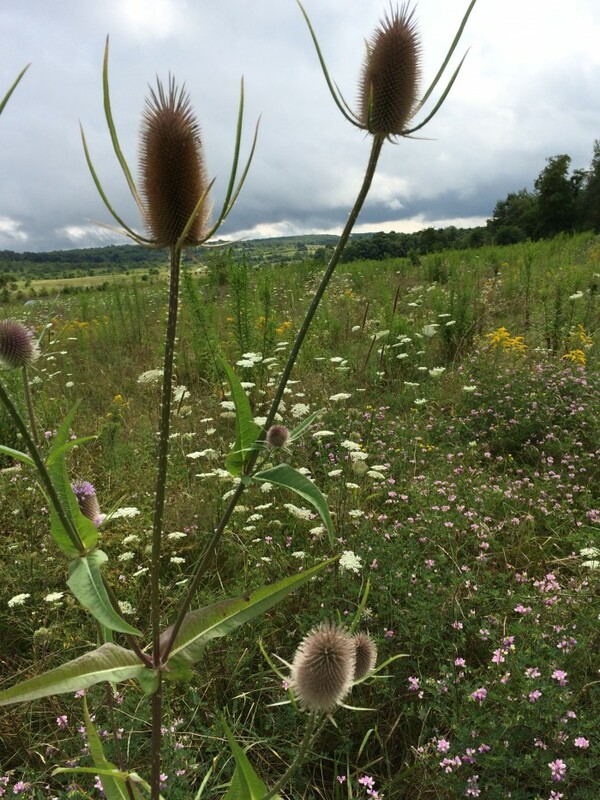 Once a surface coal mine, the field will be “rehabilitated” through the sustainable planting of native grasses and a mix of indigenous wildflowers”. 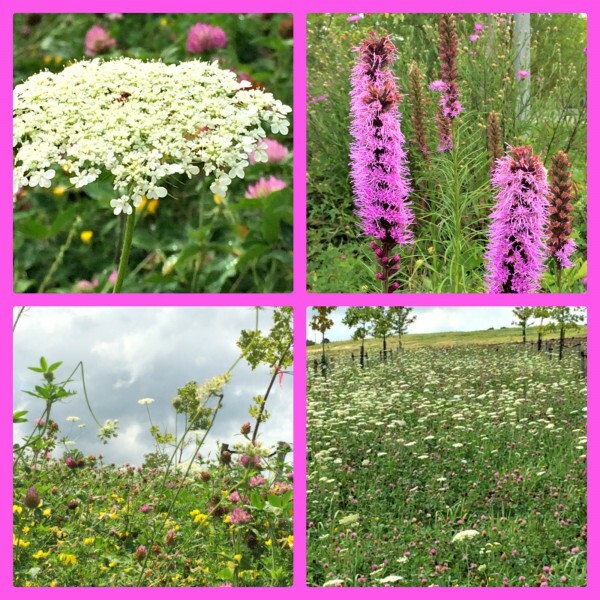 The meadows are planted and are thriving. Forty memorial groves of trees will be planted to honor each victim . Each grove is planned to contain 40 trees, such as Sugar Maple, White Oak, and Elm, for a total of 1,600 trees radiating toward the center of the Field of Honor. A series of wetlands and ponds will be preserved as natural features in the design and construction of the memorial. 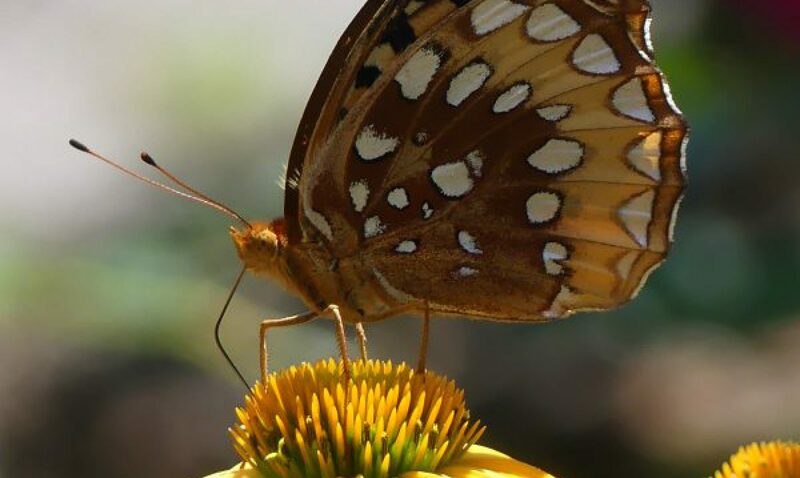 One of the “leftovers” from the surface mining activities, the wetlands will be transformed into a self-sustaining natural habitat and aquatic eco-system. 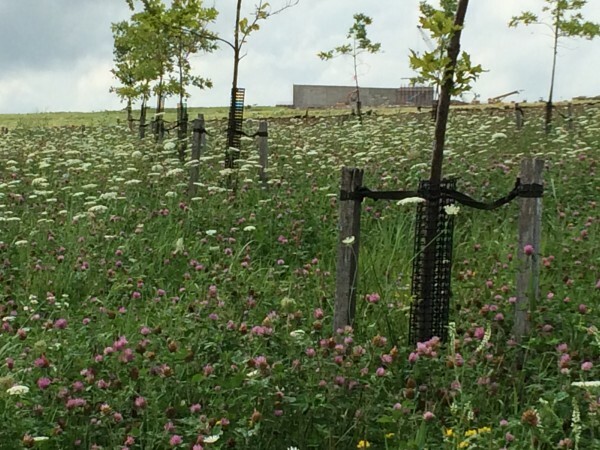 The meadows surrounding the entire site were seeded on reclaimed mining land that was comprised of very poor soil and sloping grades. The steep slopes made the process of seeding in meadow grass and flowers difficult but was accomplished before the 2002 commemoration. Also planned is a tower of voices and I will be sure to stop back when this is completed, probably by June 2015. Tall enough to be seen from the highway, the Tower of Voices will mark the entry to and exit from the park. Reaching 93 feet into the sky, the tower will house 40 aluminum wind chimes, which will serve as an audible reminder of the acts of courage of the passengers and crew, many of whose last contact from Flight 93 was through their voices on phone calls. 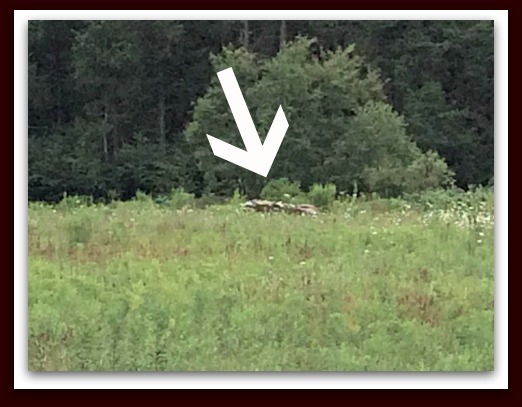 Here is a video of the memorial site which explains everything in more detail. I am very grateful to you for posting this information. I had no idea all this was being accomplished to honor flight 93. What a wonderful memorial to those who gave their lives in order to keep the United States safer and free. Thank you so much for this information. I shall look forward to visiting this site when more is completed. Previous PostPrevious Saddlebacks are Back!